Good Samaritans get night of dining, music for help with inmates. 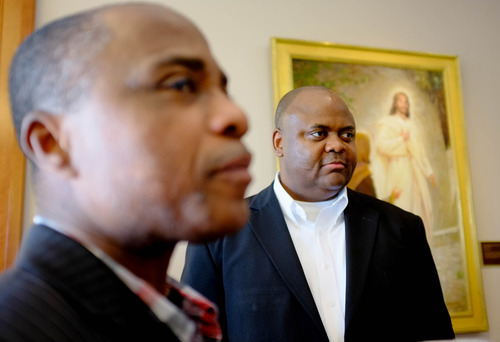 Trent Nelson | The Salt Lake Tribune Prison volunteers Peter Asiamah and Daniel Igomodu. The Utah Department of Corrections held a celebration to honor the volunteers who provide religious services at the Draper and Gunnison facilities. Saturday June 1, 2013 at the LDS Conference Center in Salt Lake City. Trent Nelson | The Salt Lake Tribune The Utah Department of Corrections held a celebration to honor the volunteers who provide religious services at the Draper and Gunnison facilities Saturday, June 1, 2013 at the LDS Conference Center in Salt Lake City. Trent Nelson | The Salt Lake Tribune The Utah Department of Corrections held a celebration to honor the volunteers who provide religious services at the Draper and Gunnison facilities Saturday June 1, 2013 at the LDS Conference Center in Salt Lake City. 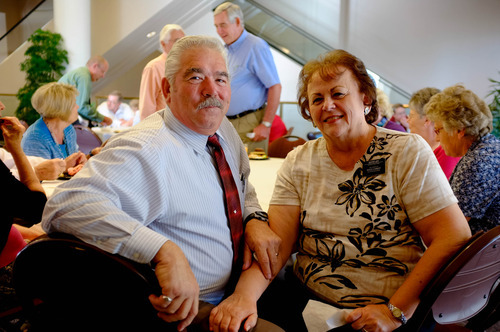 Trent Nelson | The Salt Lake Tribune Prison volunteers Mark and Lynda Udy, of Salina, attend celebration hosted by the Utah Department of Corrections to honor the volunteers who provide religious services at the Draper and Gunnison facilities. 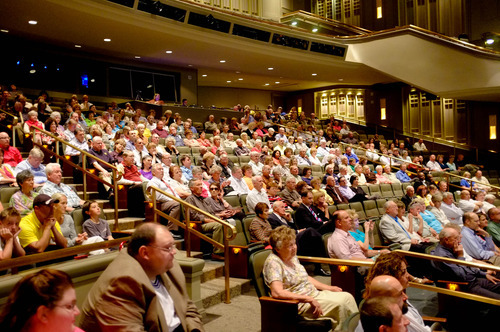 The event was Saturday June 1, 2013 at the LDS Conference Center in Salt Lake City. 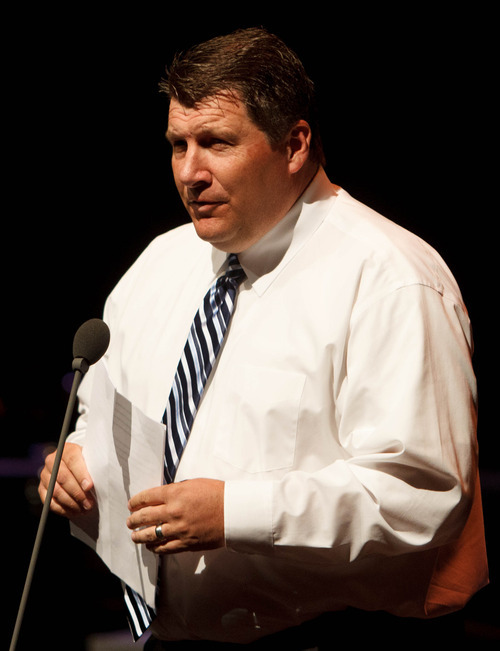 Trent Nelson | The Salt Lake Tribune Rollin Cook, head of the Utah Department of Corrections, thanks volunteers at a celebration to honor those who provide religious services at the Draper and Gunnison facilities Saturday, June 1, 2013 at the LDS Conference Center in Salt Lake City. 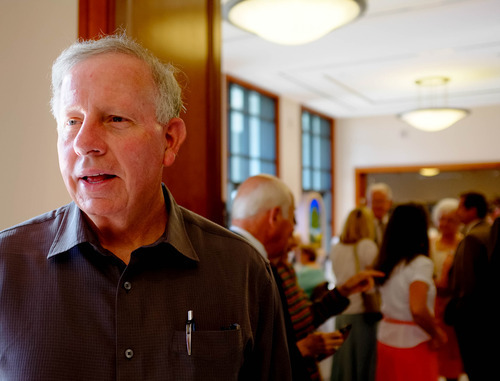 Trent Nelson | The Salt Lake Tribune Prison volunteer David Waters attends celebration hosted by the Utah Department of Corrections to honor the volunteers who provide religious services at the Draper and Gunnison facilities. 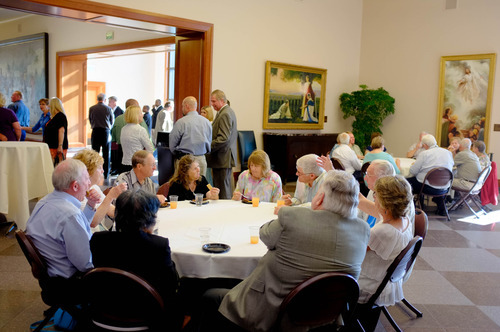 The event was Saturday, June 1, 2013 at the LDS Conference Center in Salt Lake City. Peter Asiamah said when he learned that 80 percent of inmates who participate in religious programs at the state&apos;s prisons manage to not return, it confirmed that his years of volunteer service were worth the effort. "We had a passion for the people, the inmates, so we decided to help them transform their lives ... through the power of the love of God," said Asiamah, a pastor at Miracle Rock, a Christian church in Salt Lake City. "That was the motivation for us to continue." Asiamah has joined forces with Daniel Igomodu, a pastor at the Sudanese Community Church of Salt Lake City, for the past 10 years to provide nondenominational services twice a week to inmates at the Utah State Prison in Draper. On Saturday, it was the Utah Department of Corrections chance to thank them and some 300 other volunteers for their service at an appreciation event at the LDS Conference Center, hosted by The Church of Jesus Christ of Latter-day Saints. The event included a special performance of a show called "Our Story Goes On," featuring musical performances of Broadway songs. No inmates were allowed to attend. "You provide the model for which our inmates can look up to and strive to be," said Rollin Cook, the new department director, adding that the volunteers&apos; optimism, sensitivity and compassion helps inmates turn their lives around and have a chance at success. About 1,500 community volunteers provide educational, treatment and spiritual services for inmates in Gunnison and Draper. Volunteers handle services for inmates, covering 20 different faiths, since corrections staff members are not allowed to do so in keeping with separation of church and state. "We are so grateful for them," said Craig Burr, division director of programming. "We have dedicated volunteers who give countless hours of service." The LDS Church provides a majority of those volunteers. Robert Oaks, assistant director of LDS Correctional Services, said approximately 2,100 church members provide service at the two state prisons and county jails throughout the state. Among them: Lynda and Mark Udy, of Salina, began teaching LDS Church classes at the Central Utah Correctional Facility in Gunnison eight months ago. They volunteer at the prison six days a week, teaching religion classes and helping with several choirs at the facility. "It&apos;s extremely spiritual," Lynda Udy said. David Waters, of Salt Lake City, received an LDS Church calling almost nine years ago to provide religious services for inmates in a substance abuse program at a wing of the Draper prison. He now serves at facilities in Salt Lake and Summit counties. "You experience something you can&apos;t experience anywhere else of serving people who&apos;ve made some mistakes and they need some help," he said, and then you get to see those "inmates grow and turn their lives around."